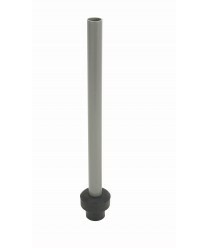 Designed for use in standard bar sinks, the Winco OP-11 Overflow Pipe, 11'' eliminates the worry associated with overflow. These plastic overflow pipes are easy to install and prevent flooding. clogged drains and overflow-related damage, leaving you free to focus on your customers.